Allison: WIW: First Day at Nordstrom! WIW: First Day at Nordstrom! I moved to Seattle about 6 years ago. I never intended to stay, never intended to grow my career and never expected my dream to work at a fashion house would come true. Last week I started my new job in old clothes. 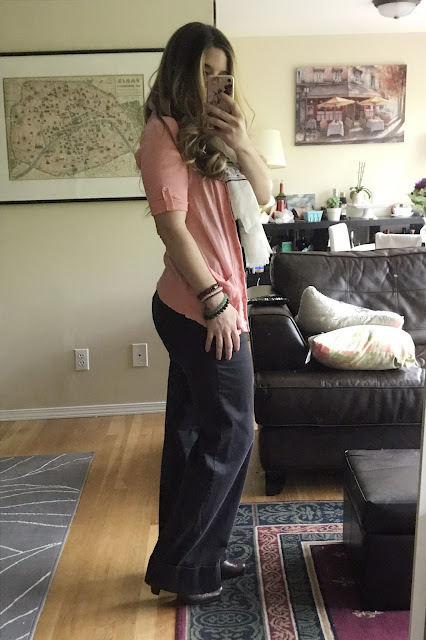 I didn't know what to expect, so I stuck with my basics and went for booties, wide leg pants and a button down. So profesh, right? I soon realized there were many different types of styles at my new company. Those who really cared, those who are naturally trendy and set trends, those who really don't care and those who get by and follow the trends but keep their own style. I'd like to think I'm the last group but it didn't take me long to start purchasing from the store once I was approved through HR. I've already purchased 3 tops and a pair of work out pants (review coming soon!). I wore these wide leg pants strictly for comfort. It's so interesting how our tastes change as we mature. I used to hate slacks and now I can't get enough of them. They're comfortable and I can get them hemmed because #adulting. Not something I thought was important growing up. It changes everything with the right length or even a heel height. I bought these pant about 7 years ago. That's the truth! 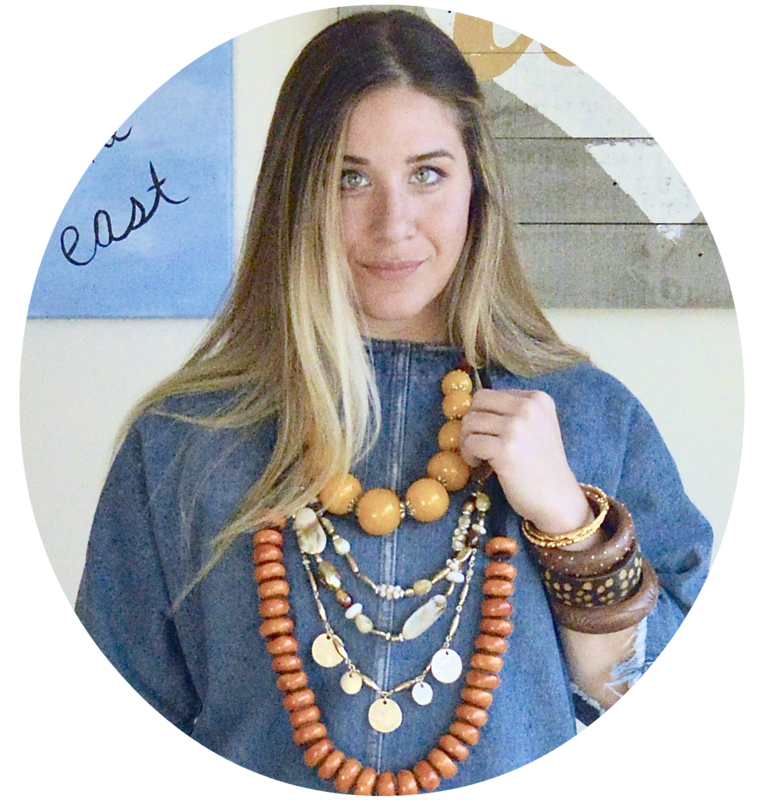 I bought them when I worked at Anthropologie in Florida when I was living paycheck to paycheck. They have been one of the best purchases of my life and have comes with me to 4 different states now. My black tank top is nothing special. Bought at TJ Maxx a few years ago. My cardi is from The Loft and I got it at Value Village. 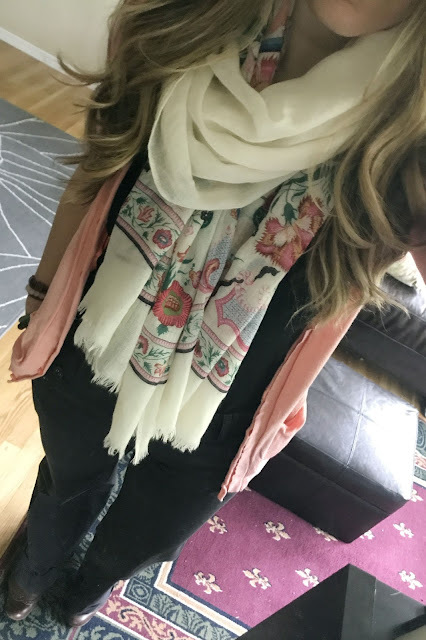 I'm obsessed with the spring color but I will say I didn't feel like the sweater tied the outfit together without the scarf. Which, by the way, is from JCrew (bought last year). I will probably never pair this cardi with my fave wide leg pants again. The color seems off but this is a blog for everyday women. I'm being honest and I think that's what this blog is all about. I've got a few more outfits from this week I'll get up soon. New Job, New Home, New Life.